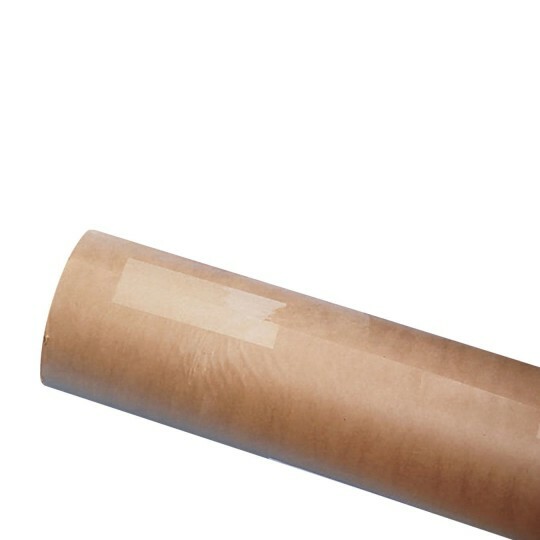 Our most popular kraft paper! Heavyweight, 50-lb. natural kraft paper. Smooth surface, 36" x 1000'. Perfect for large murals, drawings and backdrops. Great for bulletin boards or protecting work areas. Heavyweight, 50-pound, smooth surface paper for large murals, backdrops, bulletin boards, large drawings, block prints or protecting work areas. 36" x approx. 1000'. Available in brown or white. Metal cutter (AC6) not included. We keep a big roll of this handy on a special cutting rack. We use it at least once a week and often more. The big rolls are heavy and challenging to lift with one person to get them on the rack. This of course is because of how much is on the roll. But the quantity is nice so it doesn't have to be replaced frequently.